Atlanta United FC has been continuing their celebrations on the heels of the MLS Cup Championship victory and preparing for their next regular season match on Sunday. 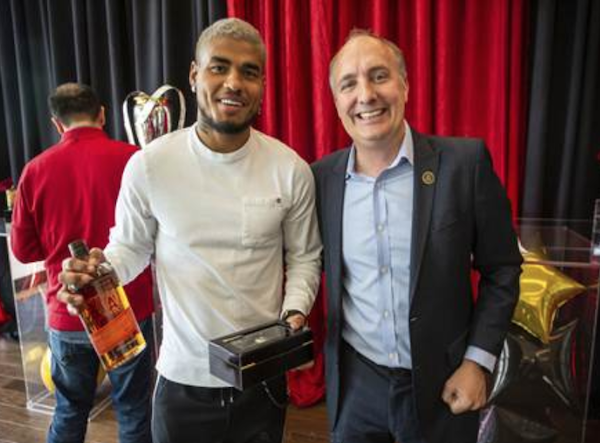 After practice, the team was recognized in a special ring ceremony where President Darren Eales presented their championship rings and gifted custom engraved bottles of Bulleit Bourbon to the entire squad. 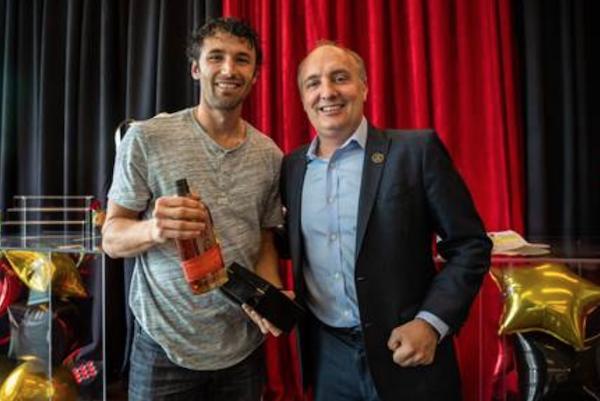 The award-winning frontier whiskey was engraved with the Atlanta United logo and personalized with the players’ name, number and position to recognize their contribution to the team’s MLS Cup victory. TeammatesMichael Parkhurst, Josef Martínez, Brad Guzan and Héctor Villalbawere among the players and staff who were recognized for the winning season. Print article This entry was posted by Art Eddy III on March 19, 2019 at 7:02 am, and is filed under Sports. Follow any responses to this post through RSS 2.0. Both comments and pings are currently closed.